The VoIP Secure Entry Phone, has a built-in Auxiliary relay (I/O board). This can be activated by a web configurable DTMF string. The DTMF code (tones) are sent from IP and Mobile phones. Most popular ways to trigger the relay and open the Door, Gate or Barrier. HTTP Post Commands ( Type a HTTP:// command ino a web-browser) – Use a Post command programme. CyberData: Based in California, est: 1974. Reputation for providing reliable, highly efficient and powerful VoIP Secure Entry products. The dry relay contact controls the power of an external relay. The external relay is usually in place. Neither the alternate power input nor PoE power can be used to drive a door strike directly. Common with all PoE driven door phones. Most existing buildings with door entry points, will have an external relay in place. For example, to power your Maglock, Old Intercom, Push to Exit Button etc. The on-board dry relay contact, controls the power of the external relay. Which then opens the door (shown in the diagram below). NO (Normally Open) contact will trigger a Barrier or Gate. No external relay is required. Direct drive the Gate/Barriers controller unit. The relay can be used to trigger low current devices like strobes and security camera input signals as long as the load is not an inductive type and the relay is limited to a maximum of 1 Amp @ 30 VDC. Inductive loads have caused excessive “hum” and can interfere with the unit’s electronics. 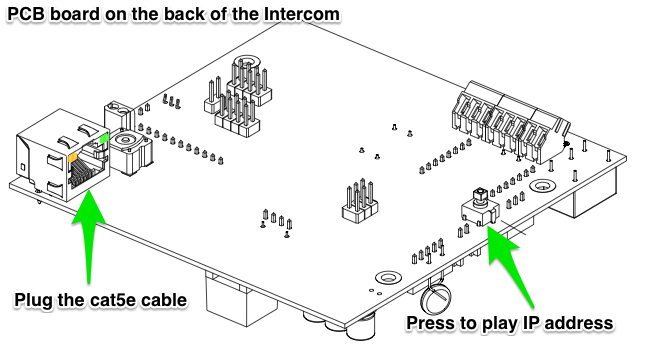 Use the Reset Test Function Management (RTFM) button on the Intercom board to announce and confirm the Intercom’s IP Address and test that the audio is working. Make a note of the IP address, type it into a web-browser and configure. Alternatively use the Embedded DHCP to auto assign multiple IP addresses on a PC. Dual Tone Multi Frequency – Is the tones and signals our phones send. When we call our utilities supplier, we are usually greeted with an automated menu. The menu knows how to route your call through DTMF. So you have been using this Lock or Barrier trigger technology for years ! ! Pre-set a specific DTMF string, for example: 321. The Intercom calls a Phone and the receiver dials in 321, this then activates the relay. The DTMF relay code can be up to 25 digits long. Could you install an IP Phone ? 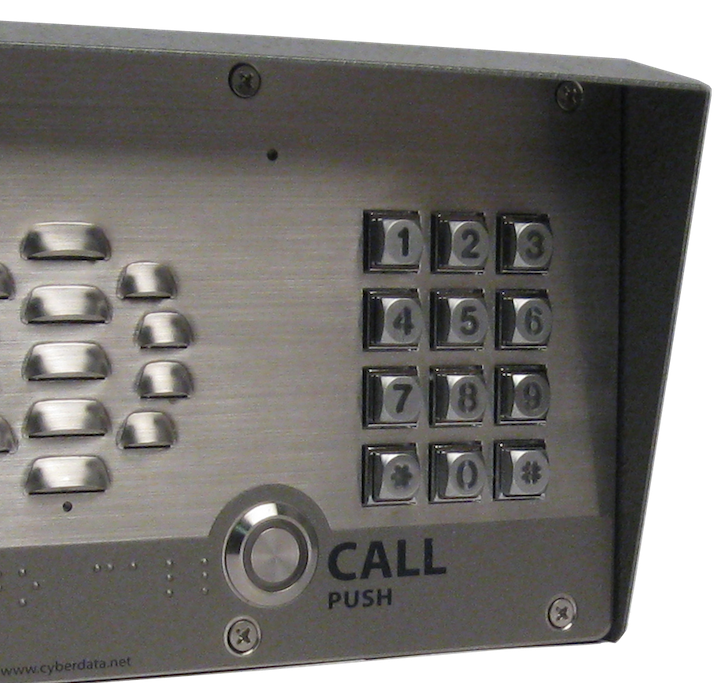 The CyberData Intercom is a SIP enabled IP endpoint that integrates to the IP Telephony system. It utilises the SIP architecture (protocol for VoIP) and is as technical as installing an IP Phone and adding an extra user/extension number.